Often as a beginning photographer you will hear the admonishment, ‘get it right in camera’, this is good advice when your starting out. It provides a restriction, a box to work in, and edges to push up against. It forces you to think about what is the subject, how do you frame the subject so that everyone knows what the subject it, are there lines that you can use to lead the eye through the image and on an on. A multitude of decisions to make on the fly that with practice become second nature, an instinct and perhaps one of the reasons that it can be so hard for some to teach what they are clearly so capable of doing. I find that I am increasingly less interested in getting it right in camera and more interested in making sure that I’ve captured enough of the scene in front of me to be able to recreate what I felt when I was there. I’ll shoot different shutter speeds to capture waves with just the right amount of blur, I’ll focus at different points in the image so that I can get good front to back depth of field and I’ll shoot a lot of frames. I’ve actually been doing this for a while and it’s taking some time for my post-processing skills to catch up with what I’d felt and imagined I would be able to create when I was stood in various places around the world blasting away. In looking around at people who were pushing the envelope with regards to creating images Brooke Shaden’s work caught my eye early on, initially through her book ‘Inspiration in Photography: Training your mind to make great art a habit’ and through her CreativeLive Class ‘Fine Art Portraits‘. Brooke creates worlds that ‘she wishes we could live in, where secrets float out in the open, where the impossible becomes possible’, often using herself as the model for the photograph. 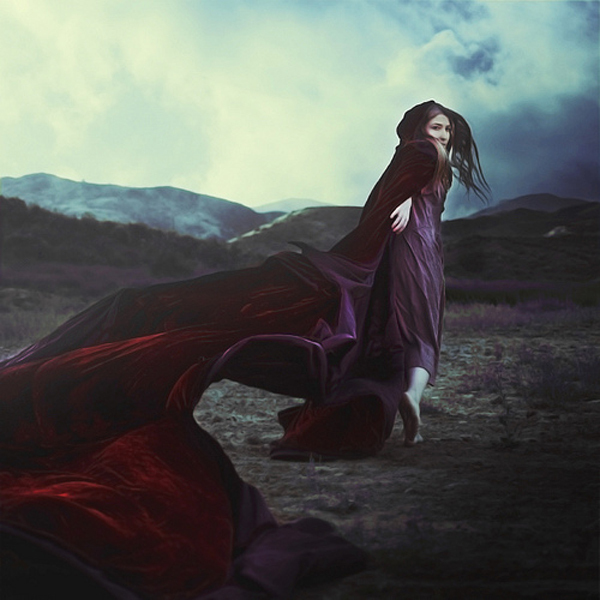 She is able to create these new worlds using relatively simple techniques in photoshop. Looking at some of the behind the scenes videos on her You Tube channel made me realize how much you could do if you just understood just a few of the tools in photoshop deeply. Watch Brooke in action and hear her talk about her work and process in the videos below. Arno Rafael Minkkinen is a Finnish photographer who has lived in the US since 1951 and currently is a Professor of Art at the University of Massachusetts Lowell. I first came across Arno Rafael Minkkinen’s work through a documentary on PBS. I can’t find this program online but it is worth checking out to watch Arno in action. His photography has a sense of whimsy to it and is often slightly surreal, reminding me a little of Jerry Uelsmann’s work. His photographs are largely self-portraits: A naked Arno (or at least the part you can see is) integrated into the landscape. What is quite interesting to me is that all of his images are captured in camera on a single frame of film. No digital hanky panky here! In looking at his work I find myself trying to work out the ‘trick’ to how he pulled it off. His camera has a cable release and a 9 second timer, which allows him to get in position before tripping the shutter and throwing the cable release out of the frame. Even so, some still leave me wondering. Check out the video at this link to hear Arno talking about his work. 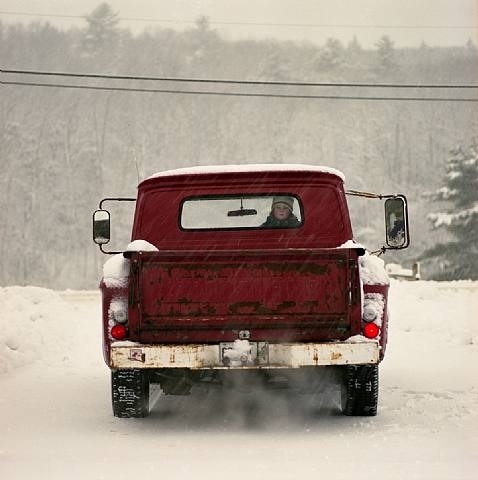 My first experience of Cig Harvey‘s photography was the image above which ran as a cover for Maine Magazine. It made me pick up the magazine, which I absolutely love, but also gave me an reason to dig deeper into Cig Harvey’s work. Cig Harvey was born and raised in Devon in the South of England and now divides her time between Boston and the coast of Maine. Her personal work seems to me to tell the stories of what’s going on in her life and includes a number of self-portraits, many of which show case her collection of vintage dresses. To hear Cig speaking about her work, process and inspiration check out this video .